Following the success of the Wines and Spirits Duplex at Terminal 3 (WSD@T3), Changi Airport, DFS has now opened a second store at Terminal 2 (WSD@T2). To celebrate its launch, DFS will be hosting a first-of-its-kind Whiskey Festival from July 27 to September 10. The festival will showcase a series of events on Friday and Saturday evenings, and each weekend, a different whiskey brand will add their own touch to the festival with guest appearances from brand ambassadors, special master classes and food pairing sessions. 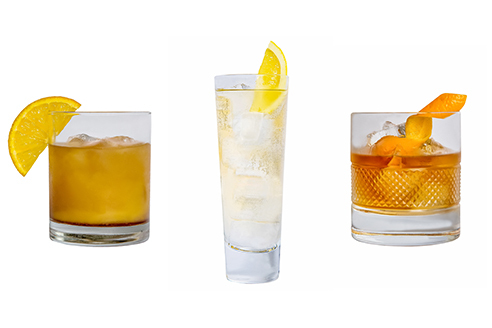 Three complimentary whiskey cocktails representing the signature styles of Scotland, U.S. and Japan will be available for sampling throughout the festival at both Duplexes. “From the Whiskey House to the Whiskey Festival, we’re excited to unveil for our customers a space where they can build their knowledge, expand their palette, discover new brands and fall in love again with the classics,” said Brooke Supernaw, DFS Group’s Senior Vice President Spirits, Wines and Tobacco. The new premises spans two floors at 15,520 square feet, and was designed by the award-winning Masamichi Katayama, who was also responsible for the inaugural store. And like the WSD@T3, it brings the same interactive and engaging experience, albeit win a different layout. 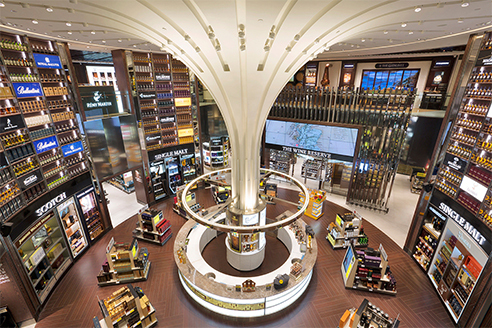 WSD@T2 will feature three new in-store concepts — the Wine Reserve, the Cigar Room, and The Whiskey House. Upon entering the Duplex on the first floor, you will be greeted first by the Wine Reserve. It is a showcase for over 350 wines from wineries all over the world, ranging from Bordeaux to New Zealand. To facilitate tastings, DFS has installed an enomatic machine that can hold up to 12 different wines at any one time. For cigar fans, the new Cigar Room stocks a wide assortment of cigars from Cuba, the Dominican Republic, Nicaragua and Honduras. It also will carry a range of limited edition accessories, which include special travel-size options in addition to regular cigar humidors and cigar cases, and will make excellent gift choices. Whiskey lovers will have plenty to cheer about. 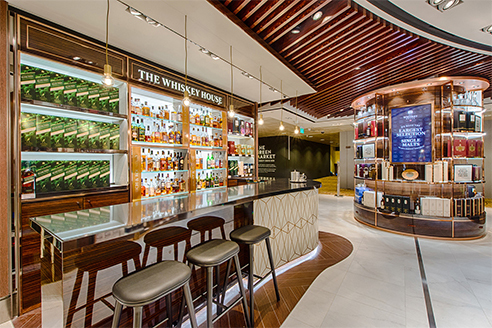 WSD@T2 will boast the largest assortment of single malt whiskies offered by any travel retail chain in the region — 179 — and with over 200 offerings from around the world, including the popular Yamazaki, Hibiki and Suntory Chita from Japan, and Kavalan from Taiwan. The upper level of the duplex is what fans will be looking forward to: home to an all new Whiskey House, an intuitive and experiential whiskey shopping experience where you can enjoy complimentary tastings of over 100 different whiskeys from across the globe. The staff have been trained to create sampling experiences for you based on your preferred flavor profiles so as to demystify the selection process and make it easier and more enjoyable for you to choose your favorite whiskey. In addition to the Whiskey House, the upper level will feature seven individually branded boutiques from Glenfiddich, Glenlivet, Hennessy, Johnnie Walker, Remy Martin, The Dalmore and The Macallan. Throughout the year, these boutiques will play host to master distillers, blenders, and brand ambassadors as well as tailored tastings.